Invincible Iron Man !!! Marvel Reveals Black Woman to Assume 'Iron Man' Role !!!! Marvel has revealed that a black woman named Riri Williams will portray next Iron Man. While Williams won't fight crime under the character's moniker, she will don Tony Stark's metal suits as soon as Marvel wraps up their current Civil War II storyline, Time reports. Riri Williams is the creation of Marvel writer Brian Michael Bendis, who previously created the popular black hispanic character Miles Morales, who assumed the role of Ultimate Spider-Man in 2011. "One of the things that stuck with me when I was working in Chicago a couple of years ago on a TV show that didn't end up airing was the amount of chaos and violence," Bendis told Time of creating Williams' character. "And this story of this brilliant, young woman whose life was marred by tragedy that could have easily ended her life—just random street violence—and went off to college was very inspiring to me. I thought that was the most modern version of a superhero or superheroine story I had ever heard. And I sat with it for awhile until I had the right character and the right place. 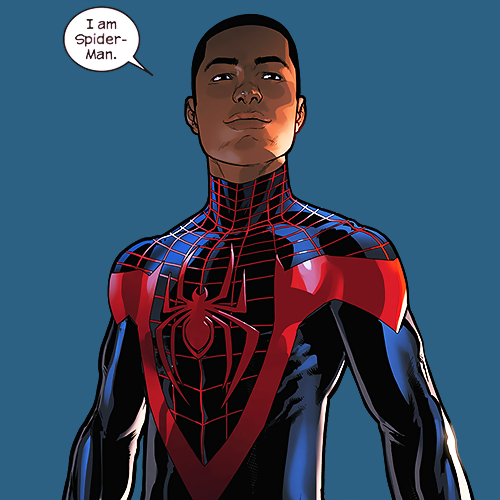 Williams, like Morales, is part of Marvel's larger endeavor to diversify both the ethnicities and genders of their superhero staple; Morales' Spider-Man has been joined in recent years by Kamala Khan, Marvel's first Muslim superhero who fights under the Ms. Marvel mantle, as well as female versions of classic heroes like Thor (Jane Foster) and Wolverine (X-23). X-Men's Ice Man also came out as gay in 2015. 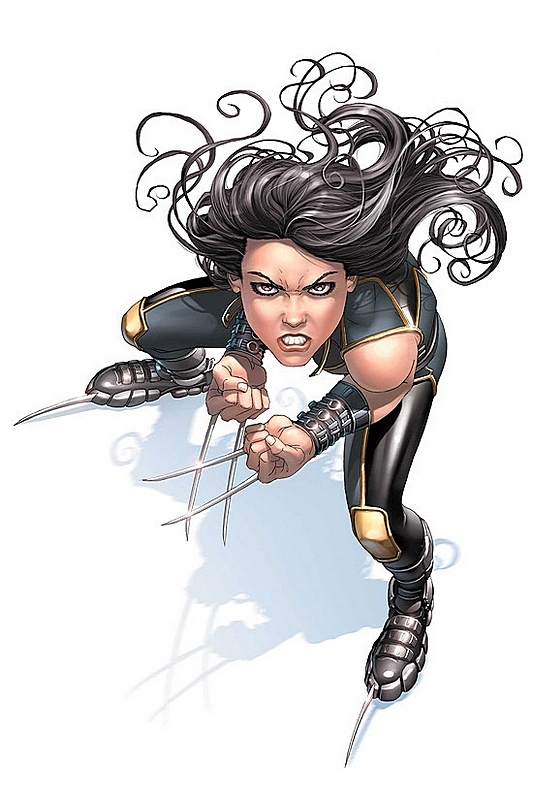 Bendis admitted that it hasn't been an easy task reimagining Marvel's iconic characters as something other than white males. "Some of the comments online, I don’t think people even realize how racist they sound. I’m not saying if you criticize you’re a racist, but if someone writes, 'Why do we need Riri Williams we already have Miles?' that's a weird thing to say," Bendis said. "But increasingly we see less and less of that. 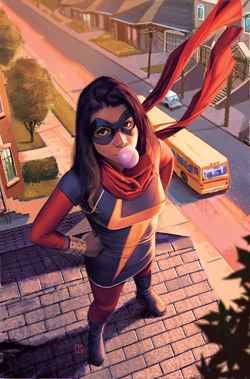 Once Miles hit, and Kamala Khan hit and female Thor hit—there was a part of an audience crawling through the desert looking for an oasis when it came to representation, and now that it’s here, you'll go online and be greeted with this wave of love." Bendis added that Williams was quietly introduced during a recent Iron-Man scene in the ongoing Civil War II series, with more interactions between Williams and Stark promised before the transition. Bendis also cautioned fans that just because Williams will be taking over the Iron-Man role, that doesn't necessarily mean Stark doesn't survive the Civil War II storyline. "More people are going to be upset that they think they know the ending to Civil War II now than anything we just talked about," Bendis said. "But I can tell you just because we're hearing what we’re saying doesn’t know you mean how Civil War II ends. We're not telling you the end, at all." Home / News / Invincible Iron Man !!! Marvel Reveals Black Woman to Assume 'Iron Man' Role !!! !